Who will still fail the residence test? Victims of police violence whose immigration status is unclear. “Today I met a vulnerable young woman. She said she was assaulted by the police during an arrest. Her immigration status is not clear. She can’t afford an immigration solicitor to help her. THANKS TO LEGAL AID, I was able to assist her with a complaint to the police and consider commencing civil proceedings against the police for assault. 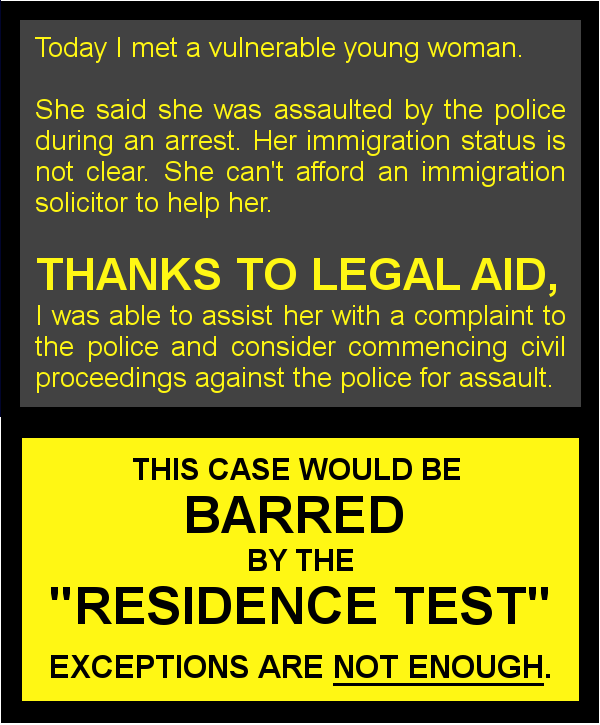 This entry was posted in Cases that will fail the residence test, Criminal law, Immigration and asylum and tagged cuts to legal aid, Legal aid, save legal aid, save UK justice by thanks2legalaid. Bookmark the permalink.